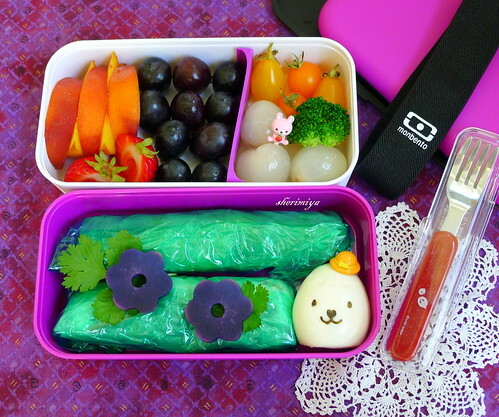 Chicken Rice Wraps Monbento, a photo by sherimiya ♥ on Flickr. 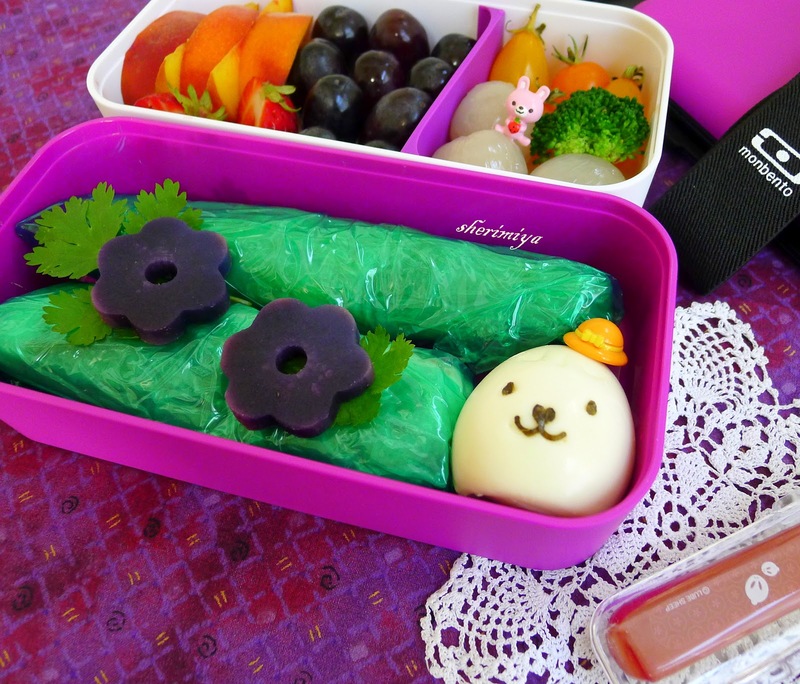 Today's bento is packed in the gorgeous Monbento Original bento box. This company has only a few products in its line, but this particular box comes in a rainbow of colors, with a multitude of colorful accessories to go with it. It's a beautiful, substantial piece of lunchware. I never would have considered getting one of these fancy bento boxes for my kids, but the generous folks at Monbento offered to send me one to try out. How nice! The first thing I realized is that this two-tiered box is BIG. The company says it holds 4 cups, which is nearly twice what you might need for a school age kid. It'd be nice for an adult, though. I decided to try it out with TinySprite first. But that one looks great and my husband is always complaining he doesn't have his own special box, so maybe this is the one for him? Decisions, decisions, but it does look great. 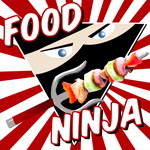 This one would be great for a guy. There are nice masculine colors like chocolate (which I nearly got myself), which is kind of rare to find. It's well-made, too, so it will last a long time. The vibrant plastic wrap is gorgeous with all of the other natural colors...cheerful, creative and uplifting as ever! Any chance you could coach me, too, on how to open this safely? I have the exact same box and - while it is great for packing a large lunch - I find the lids fit *sooo* tightly that it's a real wrestling match to get them off again! I know what you mean. I told her to take apart the two tiers first, then remove the uppermost lid carefully with the box flat on the table. The black lids might need to be peeled off slowly from one corner. Open up the vent hole to make it easier. Hope this helps!